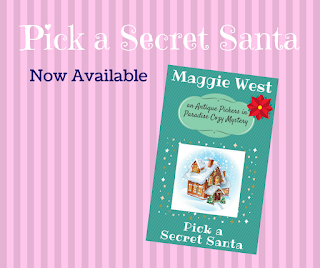 Pick a Secret Santa Now Available! Carol's planning her wedding. What she didn't plan was finding a dead body. Sherri and Carol have a successful antiques sale at the Paradise Winter Festival, but things go south when they find a dead body later that day. Can they figure out who the killer is from a cast of characters as diverse as the Secret Santa gifts at the annual Pope County Pickers holiday party? Pick a Secret Santa is a clean, short read perfect for lovers of cozy mysteries set in a small town that feature an amateur sleuth. 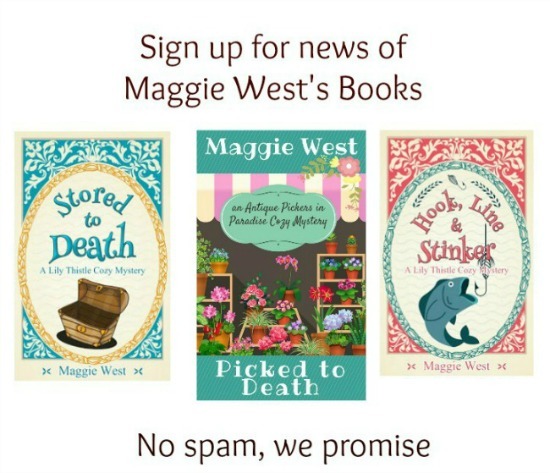 Be sure to check out the rest of the books in the Antique Pickers in Paradise Cozy Mystery series, Picked to Death, Cotton Picking Murder, Picked On, Pick a Letter, Fatal Pickings, Pick a Tune, Picked Clean, and Easy Pickings, for more small town fun and crime solving in the close-knit community of Paradise. Pick a Secret Santa is the ninth short book in the Antique Pickers in Paradise Cozy Mysteries series, and is a complete mystery that you can read in an hour or two. As a clean read, it does NOT contain strong language or graphic violence. Just Sherri and her sidekick Carol. Oh and Sherri's husband Ralph and their sweet cat, Kitty Jo, and of course Leon, Carol's new fiancé.